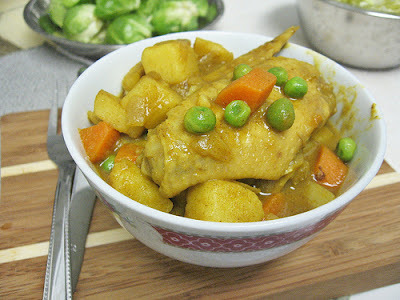 This is one of my husband's favorite chicken recipe, unfortunately because I am such a crappy cook, haven't tried this recipe yet. Just taking a look at it makes me feel like"I can't do that, it's so complicated" nyahahaha! BUT..I want to cook it for hubby so I printed the simplest recipe I saw from the internet and I am going to cook this for him one of these days..hopefully sooner. You can do this Rocks. One step at a time and follow that recipe to the letter. You can do this and think how happy your wonderful husband would be.